2016 was a big year for Skiddle. After a period of almost 18 months of detailed research, heavy debate and self-examination, we were thrilled to unleash our new branding in September, and along with it a renewed focus on our core values and how we can make ticketing better for both customers and promoters. By working with and listening to our customers, leading industry figures, and newcomers to Skiddle, our new approach landed in September and its subsequent effects have been huge. You may remember that at the beginning of December we reported a record breaking three month run, with a 67% increase in ticket sales from the same quarter the year before. In general, the nine months prior to the rebrand, our conversion rate had increased by a respectable 9.35%, but after the overhaul that figure jumped to a whopping 22.5%. 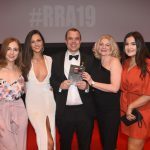 Put simply this means we were better than twice as effective in delivering ticket sales from customers, showcasing a much-improved customer experience. 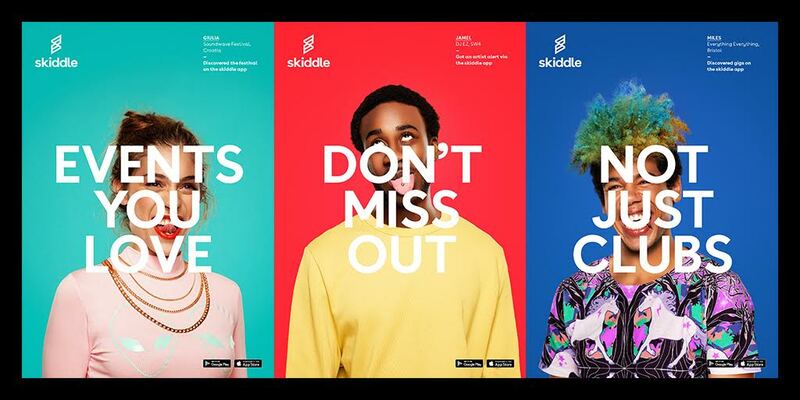 The major component of the rebrand was the focusing on the three musical pillars of Skiddle – Clubs, Gigs and Festivals. Since redefining our strengths and creating teams to specialise in each, club events have sold 32% more tickets, live events 69% more and festival sales are up by 48%. We now have dedicated staff for each of these areas, boasting industry experts in business development and account management with experience running record labels, promoting events and managing festivals. They also have dedicated content editors, another area with which we’ve experienced great improvements in 2016. 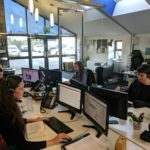 Our content department reported an increase in traffic by 21% and page views per article increase of 31% over the year – head here to find out about getting news coverage for your event. The website overall saw a 22% increase in visitors, with 23% more visitors sticking around to buy tickets. The new look and design was one of the key contributing factors, with the streamlining for mobile use proving to be a huge success. 77% of our visitors are using their mobile, a figure that’s well above the industry average. Whilst other ticket retailers struggle with providing customers an easy way to buy tickets on a format other than desktop, we remain light years ahead of the competition, making the purchase process as painless and simple as possible. This ease is mirrored by the progress made by our Skiddle App (above). Despite being around for little over a year, the app has become the most used events guide app, peaking at number 11 in the music category on Apple, and enjoys around 85,000 monthly users. Its effective layout, up-to-the-minute updates, and features like artist notifications and booking fee free tickets have made it very much a part of over half a million music lover’s lives, with a hugely successful Android version joining the iOS equivalent. With new iOS developers joining us this year, expect more exciting developments throughout 2017 as we continue to be an industry leader in the field. 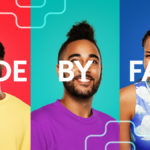 Customer experience innovation has been a big focus for us, with the new website and the refocused efforts to deliver ‘ticketing done better’ clearly striking a chord with our customers. This is best exemplified by some new additions to the ticketing technology side of things in the shape of Re:Sell, Cool:Off and most recently Waiting List. All have sought to find ways of taking ticket touts out of the game, giving the power back to event-goers who are sick and tired of being held over a barrel to see their favourite artists. Fairness remains a buzz word in ticketing and music, and we genuinely believe we have done more than anyone to make the playing field much more level for the consumer. 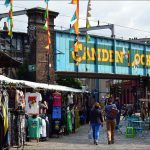 Waiting List to date has seen over 31,000 customers request 90,000 tickets, with extra ticket sales amounting to £41,000 and, more importantly, a huge amount of people getting access to events at a fair rate. The feature is set to be integrated to the app in the next few weeks which will undoubtedly see those figures dwarfed. Our tout-busting Re:Sell feature has been used on 146 events, with 515 orders resold, while well over 1000 events have successfully used Cool:Off. With the power to change your mind (Cool:Off), get the money back for your tickets if you can no longer go (Re:Sell), or get first dibs on tickets to previously sold out shows (Waiting List), we’ve been able to help a legion of Skiddle users get to the events they love most, and all the while make sure that promoters are also getting the best deal by ensuring all the money from the event stays in their hands, while making certain their events are as fully attended as possible. We’re committed to making things better for every stakeholder of the events industry and the best part is, we’ve not even properly started yet. Head here to start selling tickets with Skiddle.